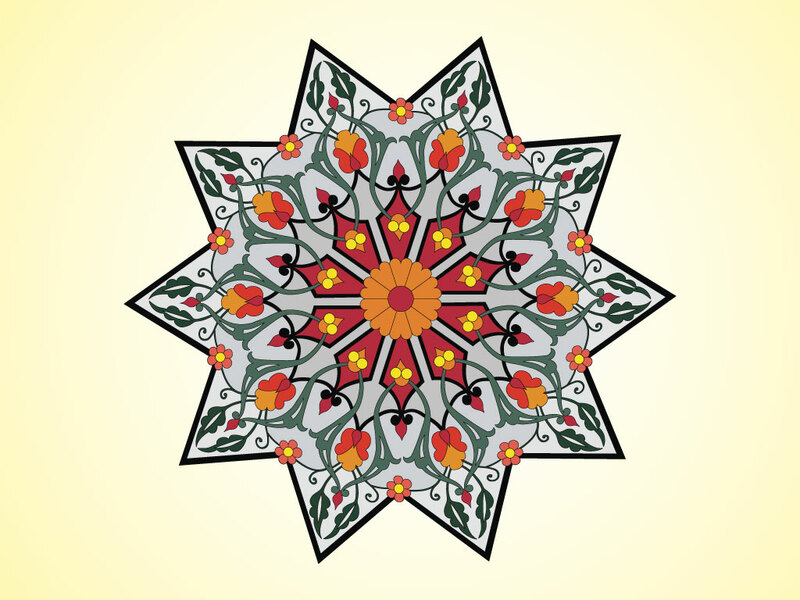 This beautiful floral star is a combination of Art Nouveau style and modern vectors. Download this ornate and detailed decoration for your artistic, floral and contemporary design projects. Zip file comes with AI, PDF and JPEG format files. Tags: Art Nouveau, Floral, Jugendstil, Litho, Mucha, Star, Vienna, Vintage.